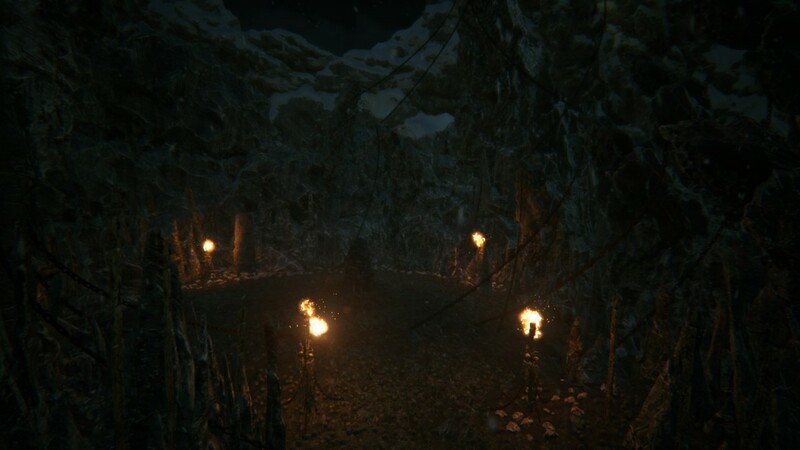 REVIEW - Kholat - Use a Potion! 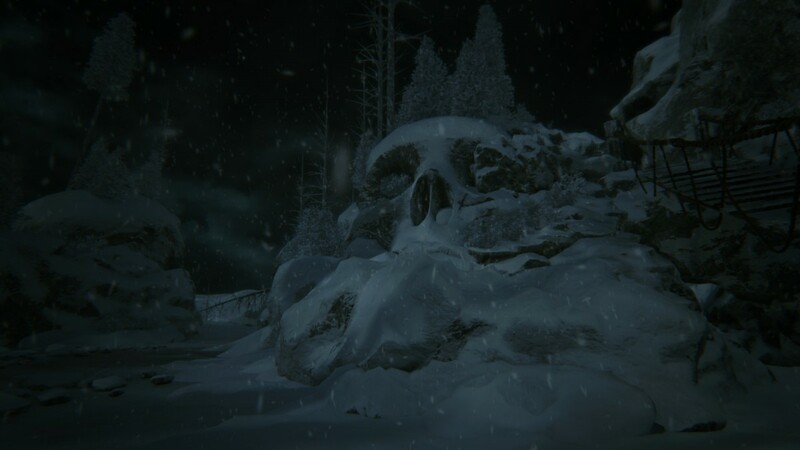 I first heard about Kholat back in February, the game’s developer IMGN.PRO announcing the release date and the trailer on the 56th anniversary of the tragedy on which the game is based, the Dyaltov Pass Incident – a tragic yet intriguing event that resulted in the death of nine hikers in the Northern Ural Mountains, Russia. 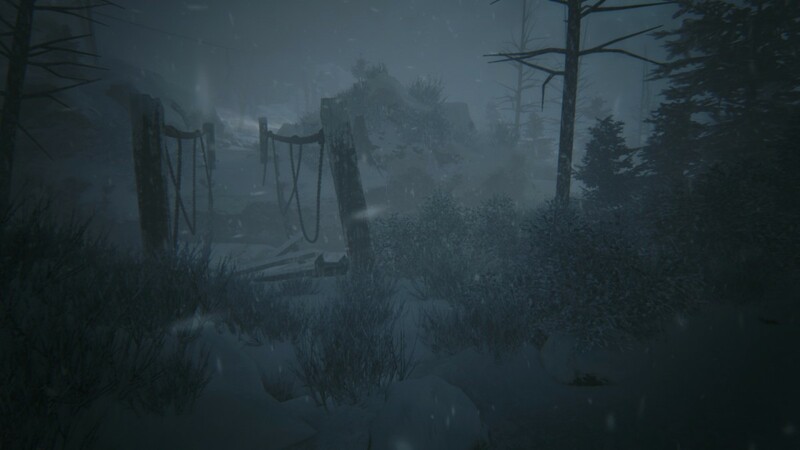 Despite what happened that fateful night 56 years ago still remaining a mystery, Kholat promises to give its take on the event in a horror-driven first person perspective supernatural exploration game. It had me intrigued – a unique take on a real life tragedy, and with IMGN.PRO showing they meant business by getting Hollywood talent Sean Bean on board my expectations were high. Now, Kholat‘s release is upon us and although it won’t truly reveal what happened that mysterious night is the game still worth playing? The game opens with a brief cutscene retelling what is known about the Dyaltov Pass Incident – how the hiker’s tent was discovered abandoned, cut from inside with with the hiker’s belongings remaining. Barefooted footprints were also discovered heading away from the tent, the circumstances suggesting whoever left it had done so in a frightened rush. It wasn’t much longer that bodies were discovered, some still in their underwear. It was a truly tragic event, and the circumstances of the night still remain a mystery to this day. The game takes place years after the incident, you taking on the role of an unnamed explorer who heads out to the site of the hiker’s tent, hoping to discover the truth of that night. Although the composition of the game is interesting, the game seems to throw you in with no real context. Sure, you know the history of the event but upon arrival at the tent site you have no real introduction to your character or any background to your purpose. It’s a shame that a game driven so much by it’s narrative doesn’t introduce it in a well managed way. The narrative is adequate for the game, but I still feel it could have been a bit better. Despite the game offering it’s own truth regarding the mystery the end I found myself even more baffled, the story sometimes being a bit too enigmatic and ending up a little convoluted. It’ll take you roughly four hours to reach the ending (more or less depending how much exploring you do) and the ending, whilst having a good twist, isn’t fully explained or fleshed out. Sean Bean’s performance as the narrator is also a mixed bag; some lines are delivered perfectly, especially during the first half of the game, whilst other times it could be a little underwhelming, the tone of the narrative not matched by the delivery of his lines. It’s not all bad though – the game offers plenty of documents and diary entries to discover, some telling the story of the hikers and the others just filling in minor details to the back story. These are completely optional for you to find but are worth looking out for; not only do they offer more depth to the game’s lore but also each discovery is rewarded with a save point in game. The text in these document’s could have been bigger, the zoom function still not making the text perfectly clear to read. It’s a minor niggle, but an issue nonetheless. Whilst the story is somewhat disappointing, it’s all up hill from here – fitting for the mountain setting. The graphics in the game are phenomenal. 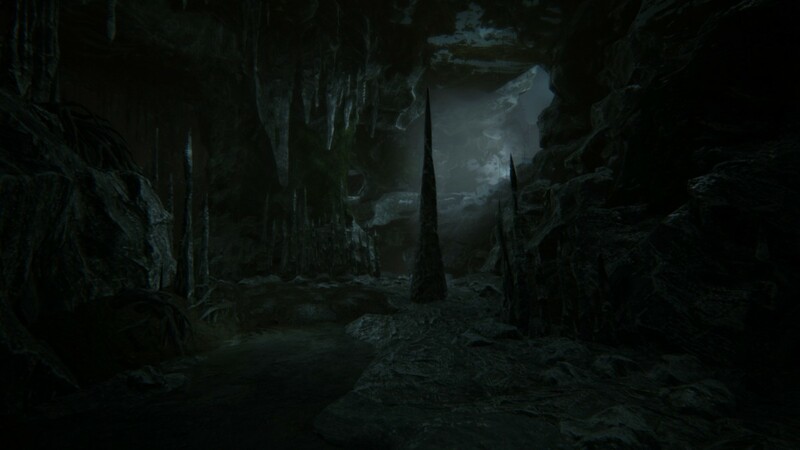 Kholat uses Unreal Engine 4 and it looks jaw dropping. The mountain range is beautifully crafted, the wind blowing through the swaying snow laced trees and the constant snowflakes falling before your eyes really making you feel that you are there among the frozen mountains. Lighting is beautifully utilised, the moonlight illuminating the area and casting shadows amongst the soaring mountain tops. The atmosphere changes as you explore further through the area; watch as the snow falls more heavily the further you ascend the mountain or the area becoming all the more leaden as you explore the sombre, haunting forests. The game makes little changes for each area of the map you visit, each change altering the vibe of the game. Admittedly at times everything can look unvaried, the snow covered areas taking up the majority of the game. However, the game does take you to frozen lakes, flame-lit caves covered with undergrowth and a derelict abandoned church amongst other locales; everything isn’t just snow plastered terrain. Gameplay is very minimalistic in Kholat, but in a good way. It’s primary focus is on the explorative element of the game, discovering new locations and uncovering the documents scattered throughout the mountain. The game makes no attempt to hold your hand though and throws you in the deep end; you are equipped only with a map, flash light and compass. You are never told where you are on the map, the only real way to get an idea is by matching up a landmark in game with its location on the map. Whilst this could be a little frustrating at times, especially with environments looking so similar, it really immerses you into the survival experience; you are alone on the mountain trying to survive after all. The game does atleast give you the co-ordinates of the landmarks you need to visit to progress in the story. You can approach these in any order you like – the game is non-linear and gives you a large area to fully explore as you wish. Survival isn’t made easy for you, an abundance of environmental hazards waiting at every turn. Falling off a cliff edge to an almost endless abyss, crumbling rocks falling from above or simply pitfalls in the ground; the environment isn’t safe in Kholat. Of course, if it isn’t the environment that kills you then I’m sure the orange glowing shadowy figures will. The only enemy in Kholat, there are glowing orange figures that stalk you throughout the game, one hit from them instantly killing you. They can appear from anywhere; sometime’s you’ll run around a corner only to make contact with one of the figures, instantly dying. The game is fair though – you’ll notice glowing footprints appearing on the ground whilst in the vicinity of the enemy. They never really strike too much fear into your heart; your initial encounter with them frightening of course, but once you learn how to avoid or outrun them their threat becomes undermined. You’ll also encounter non-hostile gold glowing figures throughout the game. They will sometimes be running away from something (which means you should run too) or simply be leading you down the right path to go; either way they are helpful to guide you in the right direction. The sound direction in Kholat is simply superb. From the start of the game with the haunting singing by Mary Elizabeth McGlynn. the chilling tunes as you’re exploring the mountain range or the frantic tune while you are being pursued; everything is composed perfectly and really sets the ambience. Sound effects are also tremendous from the sullen blasts of wind on the top of the mountain to the howling of the wolves – you will really feel like you are isolated in the forsaken environment. Something the game must be commended on is how it makes you feel while playing. It’s meant to be a horror game but it never really frightened me – whilst some enemies would catch me off guard to cause a jump at times I never really felt scared. However, it did cause a sense of apprehension. As I’d be travelling through the mountains knowing that the game was based on a true tragic mystery was foreboding. Sure, the game wasn’t an accurate representation by any means, but it didn’t stop the back story working against your emotions. With so much mystery on the mountains and all the curious discoveries you make you really begin to get totally immersed in the experience and what happened that fateful night. Not many games have managed to make me feel this whilst playing. Kholat isn’t a perfect exploration game by any means. The story becomes a bit flummoxing, the narration sometimes going off track and never really explaining in full what’s going on. The environments can also get very samey at times, with the awkward map system not telling you where you are not helping when you try to get around. What Kholat gets right however, it gets VERY right. Graphics are superb in the game along with the sound design. They manage to really immerse you into the experience, make you feel like you are truly there in the mountains. Most importantly though is the way the game tugs at your emotions – mainly fear. It makes you feel uncertain at every moment, and it’s really effective. Kholat will leave a lasting impression with me, and it certainly is a good one. It has it’s downsides, but what it does right certainly outweighs them. Kholat is a game I’d recommend everyone to experience; I know I’ll be visiting those mountains again very soon.